Ten cities across the world are hosting a week of events marking four years of WikiLeaks founder Julian Assange’s detention. Dubbed 'First they came for Assange,' the global gatherings feature Noam Chomsky, Slavoj Zizek, Yanis Varoufakis and Patti Smith, amongst others. 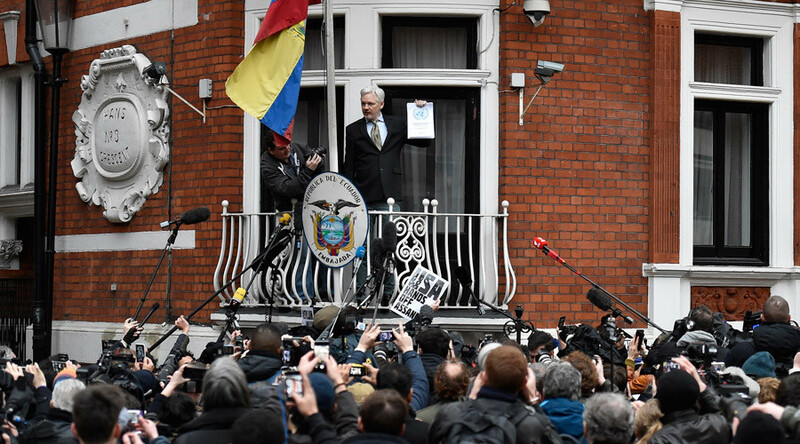 Assange has been unable to leave the Ecuadorian Embassy in London since June 19, 2012, due to a 24/7 watch on the building by UK police following a legal case opened against him in Sweden. Crucially, Assange maintains that Washington is persecuting him for publishing and maintaining the largest trove of explosive leaks in history. “First they came after Julian Assange, then they came after Chelsea Manning, then they came after Edward Snowden… who is next?” says the site of the global ‘Assange week,’ which focuses on the fate of whistleblowers and draws attention to the diminishing of freedom of expression globally. “We are gathering all around the world on [June 19] to speak out for Julian, because he has spoken out for all of us, we are speaking out before there is no-one left to speak out,” said Horvat, a Croatian philosopher and founder of the Democracy in Europe Movement (DiEM25). “The inspiration for the title of the event, ‘First they came for Assange,’ comes from the famous Martin Niemöller poem about the cowardice of intellectuals and purging of dissidents,” he said. British filmmaker Ken Loach, the winner of this year’s the Palme d’Or at Cannes, is one of the speakers . He said he joined the protest because Assange is a “brave man in isolation,” stressing that “our legal system is being manipulated” when it comes to Assange’s case. Some of the other speakers at the event include the aforementioned American philosopher Chomsky, Slovenian-born philosopher Zizek, American singer-songwriter Smith and former Greek Finance Minister Varoufakis. Chinese contemporary artist Ai Wei Wei, American documentary filmmaker Michael Moore, English artist Brian Eno, English musician PJ Harvey and Spanish journalist Ignacio Escolar are also set to partake. The global event will run from June 19 to June 25. The participating cities include Athens, Belgrade, Berlin, Brussels, Buenos Aires, Madrid, Milan, Montevideo, Naples, New York, Quito, Paris and Sarajevo. 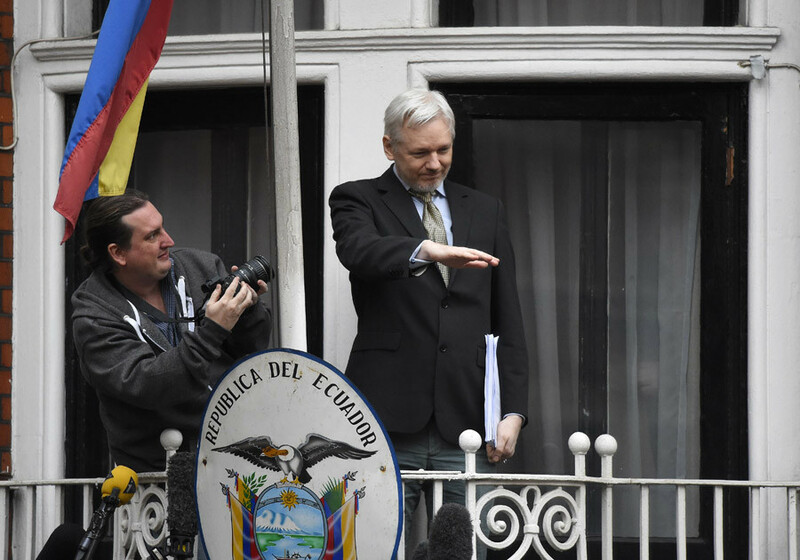 Assange will join the event live from the Ecuadorian Embassy in London. As of June 19, Assange has been deprived of his freedom for 2,022 days. He remains in confinement even after a UN panel’s February ruling that he has been “arbitrarily detained." 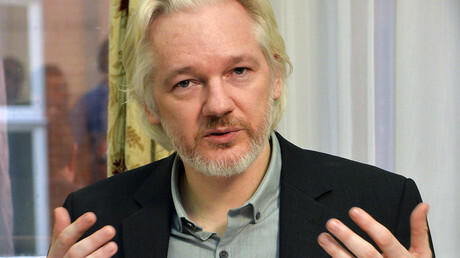 UN has called upon the UK and Sweden to end Assange’s deprivation of liberty. “The Working Group on Arbitrary Detention (WGAD) … considered that Mr. Julian Assange was arbitrarily detained by the Governments of Sweden and the United Kingdom of Great Britain and Northern Ireland,” the statement said. The UN’s decision came after Assange filed a complaint on Arbitrary Detention against Sweden and Britain back in September 2014. However, both countries failed to comply, even though the opinions of the Working Group on Arbitrary Detention are legally binding to the extent that they are based on international human rights law, such as the International Covenant on Civil and Political Rights (ICCPR). Assange is wanted in Sweden for questioning in connection with allegations of sexual assault against two women in 2010, an accusation which he has always denied. Several additional charges against Assange were previously dropped because their statute of limitations have expired. However, the current charge is not due to lapse until 2020. The WikiLeaks founder fears that if he goes to Sweden, he will then be extradited to the US, where he is wanted on espionage charges related to publishing classified US military and diplomatic documents in 2010 – the largest information leak in US history. The prolonged detention has had a detrimental impact on Assange’s health, according to his lawyers. Attorneys Thomas Olsson and Per Samuelsson said the whistleblower is suffering from shoulder pain and is in need of urgent dental care, arguing that their client cannot receive adequate medical care at the embassy.